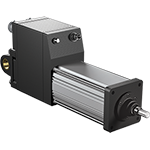 Curtiss-Wright designs and manufactures Exlar® electric roller screw actuators, rotary servo motors, and integrated control solutions for a broad range of applications. 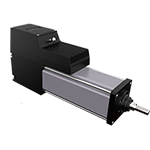 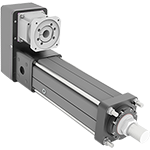 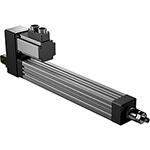 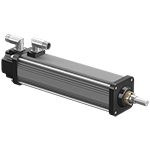 Our unique roller screw linear actuator technology provides an efficient electro-mechanical replacement for hydraulic or pneumatic cylinders with forces up to 40,000 pounds and speeds up to 60 inches per second. 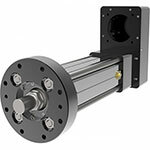 We are able to deliver higher force in a smaller package than comparable ball screw technology, as well as more flexibility, higher efficiency, and lower maintenance than traditional hydraulic and pneumatic solutions.